SSC CHSL Syllabus 2019 - Before getting into the detailed SSC CHSL syllabus, you must have an idea about the SSC CHSL exam pattern – the number of stages of SSC CHSL exam and what each of these stages entails. Descriptive Test asks you to write essay and letter/application. Essay topics are usually any current social, political, economic or cultural issue. For letter/application writing, expect official topics. But it is always better to be aware of letter formats of all types. 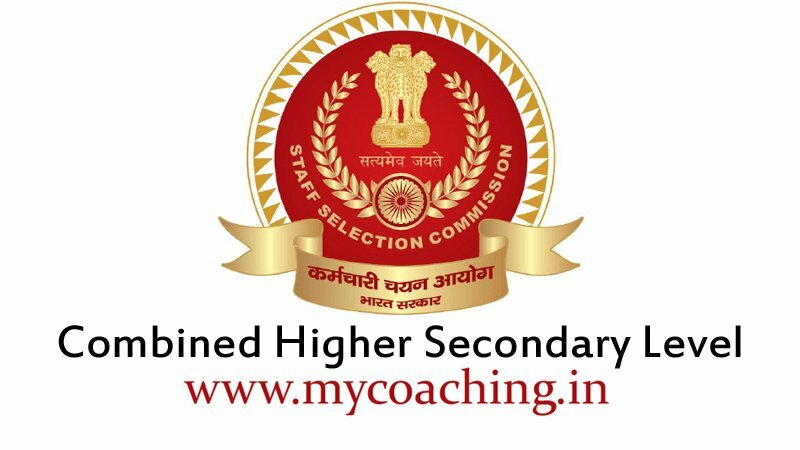 Now that you have a clear idea about the SSC CHSL exam pattern and SSC CHSL Syllabus, you can start your SSC CHSL preparation. The earlier you start your preparation, the better. Because you need to complete the whole SSC CHSL Syllabus as early as possible so that you have enough time in hand to revise and take SSC CHSL mock tests. You also need to work on your time management, question selection skills, and overall test-taking skills. You can work on these things as you take SSC CHSL mock tests after completion of the whole syllabus. Since the syllabus and pattern for exams of all government jobs are more or less same.